Environmentalists and rights groups reacted with dismay Monday to the victory in Brazil of president-elect Jair Bolsonaro, a far-right champion of agribusiness who has threatened to pull his country from the Paris climate accord. Bolsonaro, who won 55 percent of the vote in a run-off on Sunday, issued a series of campaign pledges that left many fearing for the future of the Amazon, known as "the lungs of the planet". He promised to merge Brazil's agriculture and environment ministries into one, saying "we won't have any more fights" over ecological concerns on deforestation. "It's all about downsizing government so investors and big agribusiness landowners and companies can come in and have a freer hand for more trashing of resources and indigenous rights," Victor Menotti, a former director of the International Forum on Globalization, told AFP. Bolsonaro, a former army captain, also raised the prospect of building hydro-electric power stations in the Amazon that would greatly restrict water access and forcibly remove indigenous communities -- and even mooted a rail line through the heart of the rain forest. "If (Bolsonaro) decides to move forward with his pledges against the environment, indigenous peoples and the climate, his fellow citizens will be the biggest victims," said Carlos Rittl, executive secretary of the Brazilian Climate Observatory. "To increase deforestation and greenhouse gas emissions is to leave each and everyone of us more vulnerable to an increasing risk of climate extremes." May Boeve, executive director at climate NGO 350.org, warned that a Bolsonaro presidency posed "a real threat to human rights at home and a risk to the momentum for climate action abroad." 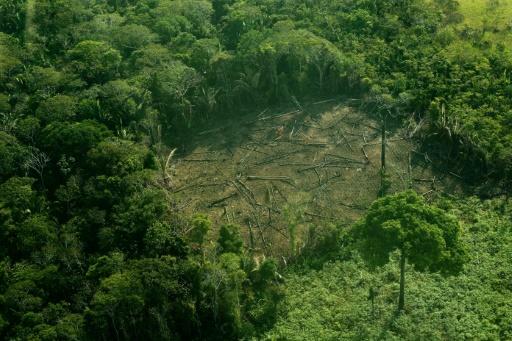 Deforestation is responsible for about a fifth of greenhouse gas emissions and intensifies global warming. But more than two decades of UN-led efforts to curb the practice have largely failed, with Earth still losing a wooded area the size of Greece every year. 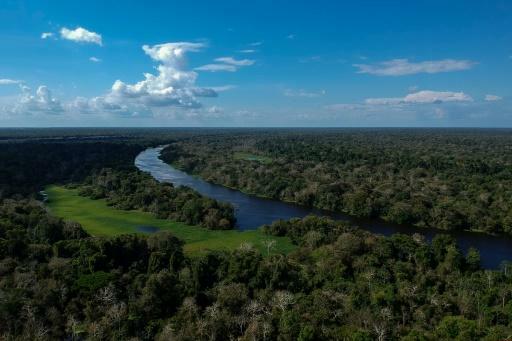 The Amazon itself is retreating to the tune of 52,000 square kilometres (20,000 square miles) -- equivalent to the area of Costa Rica -- each year, as agriculture giants saw down trees to make way for vast tracts on which to graze cattle or grow plants for food and cosmetic products. Bolsonaro, who openly admires Brazil's former military dictatorship and shocked many with his derogatory remarks on women, gays and blacks, remained vague about the environment during campaigning. He stunned many observers in August by pledging to follow US President Donald Trump's lead and pull Brazil out of the 2015 Paris treaty on climate change. The Paris deal aims to limit temperature rises to "well below" two degrees Celsius (3.6 Farenheit) above pre-industrial levels. He has since backtracked on his pledge to leave the Paris accord. According to Steve Schwartzmann, senior director of tropical forest policy at the US-based Environment Defense Fund, it is doubtful Bolsonaro would even be able to affect Brazil's departure given the treaty passed unanimously through congress -- including Bolsonaro's own vote. "So even if he still wants to withdraw, it will not be simple or easy," Schwartzmann told AFP. One area where Bolsonaro can act immediately, however, is on indigenous rights. 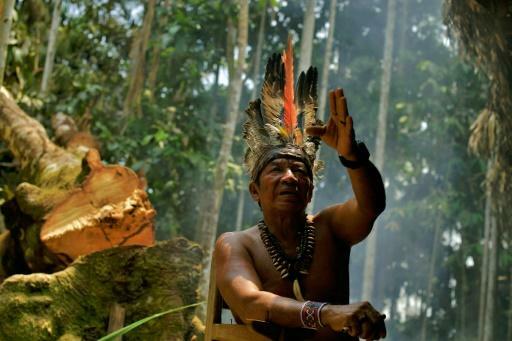 A major report this month highlighted the vital role forests must play in limiting the impact of greenhouse gas emissions as well as the crucial role of indigenous people in forest upkeep. Bolsonaro said in February that he would not give up "one centimetre more" of land to indigenous communities in Brazil -- home to around 60 percent of the Amazon rainforest -- who are often threatened when standing up for their rights. He has repeatedly attacked the environment protection agency Ibama, and as president could influence to what extent its operations are funded. Despite relatively robust legal protections, Brazil is already the deadliest place for environmentalists, with pressure group Global Witness recording 57 deaths of people protecting land there last year. Sebastian Munoz, senior programme officer for Latin America at the War on Want group, said Bolsonaro's verbal attacks on indigenous groups "is an attempt to vilify them and generate hate towards them to advance this idea of the need to generate economic growth. "It's an effective way of bypassing the need to make new laws by weakening protections for the environment and indigenous land that already exist," said Munoz.